WNBA Players Open New Franchise! 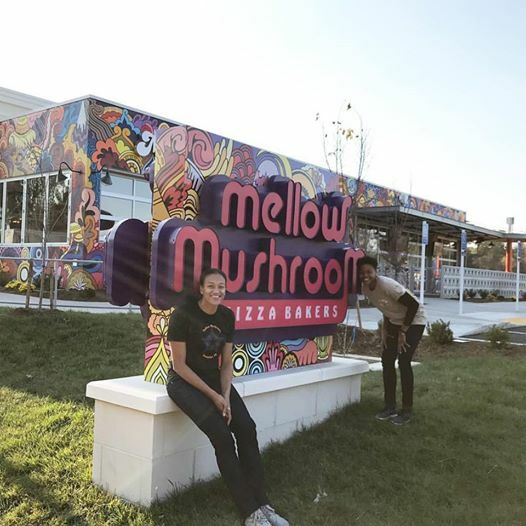 Alana Beard and Marissa Coleman at their Mellow Mushroom location in Roanoke, Virginia. Having their grand opening just three weeks ago Alana and Marissa are ready to take on the challenges of being franchisees. For Beard, franchising has always been a goal of hers. Early on, she studied the franchise industry and business models that were of interest to her. However, it was Marissa who connected her with a family friend who has over 30 years of experience in the franchising industry and from there the chance to become partners in business began. Both Alana and Marissa are like-minded in their desire to be prepared for life after basketball. “We understand that basketball does not define us and that it is only a platform for us to grow as individuals,” said Beard when asked about the working relationship her and Coleman have. “We work well together because our vision for growth is similar and we understand the importance of being good people first.” Their years of playing basketball and being part of a team has prepared them for the many challenges they will soon face as business owners. It is widely known that athletes make great business owners and employees. Their dedication, work ethic, competitiveness, and team mentality all support being successful in their careers after sports. With plans to continue to venture out into the business world, this is just the beginning for the two. Both Marissa and Alana were recently at their Mellow Mushroom location learning the ropes of the restaurant which included making pizzas, washing dishes and cleaning floors! Beard’s father who owns his own business left her with a piece of advice in which she has carried with her into her new position. “No one will appreciate and take care of your things as well as you.” She understands that in order for a business to be successful, you must be there, on site, working every single day. “It’s ours! It’s our responsibility and I love that we get a chance to decide how great we want our business to be. 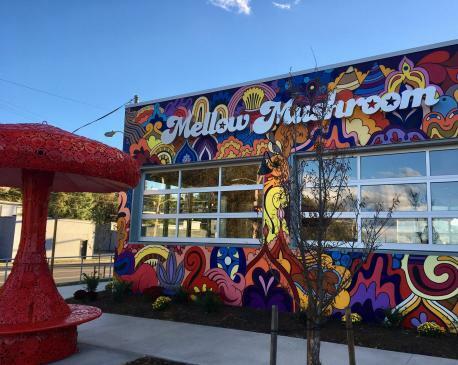 That’s pretty cool to me!” Their Mellow Mushroom is located at 2239 Franklin Road SW Roanoke, VA 24014. If you’re ever in the area stop by, have a drink and a bite to eat! The House Special Pizza is my favorite. Congrats to both Alana Beard & Marissa Coleman on your new endeavor. I used to watch the two of you play for the Mystics & respect both of you very much. I hope your venture is very successful. How often are you two in your new restaurant? I’d like to visit sometime when one or both are on site. You are both great ball players and great people. I hope all of both of your days are blessed. Great endeavor by two great athletes! All the best to you both!